She's part of the regular entertainment at her dad's musical church services in Calabasas, California. 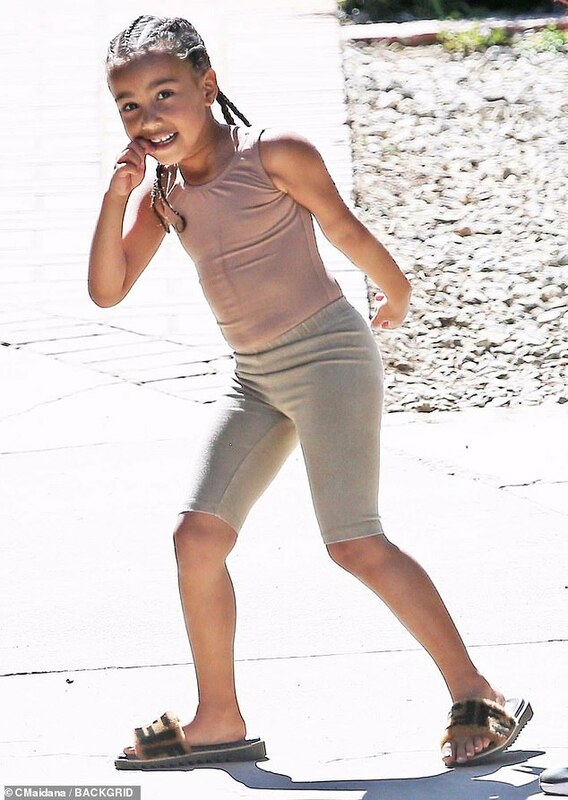 North West gleefully showed off her dance skills again on Sunday. 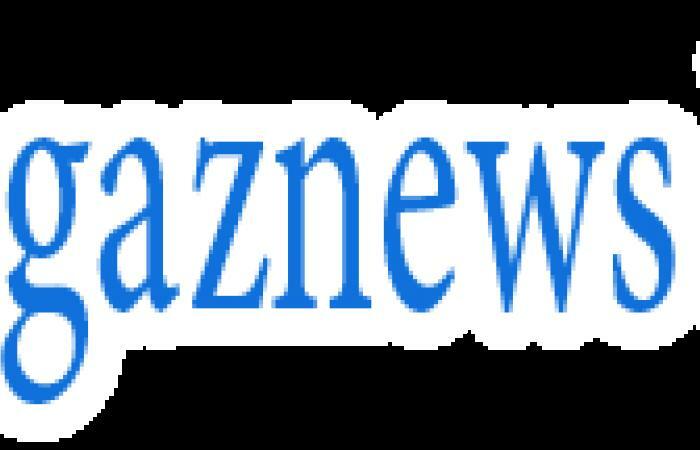 The five-year-old boogied down with a friend while her aunt Khloé Kardashian posted the musical clips to her Instagram Stories. 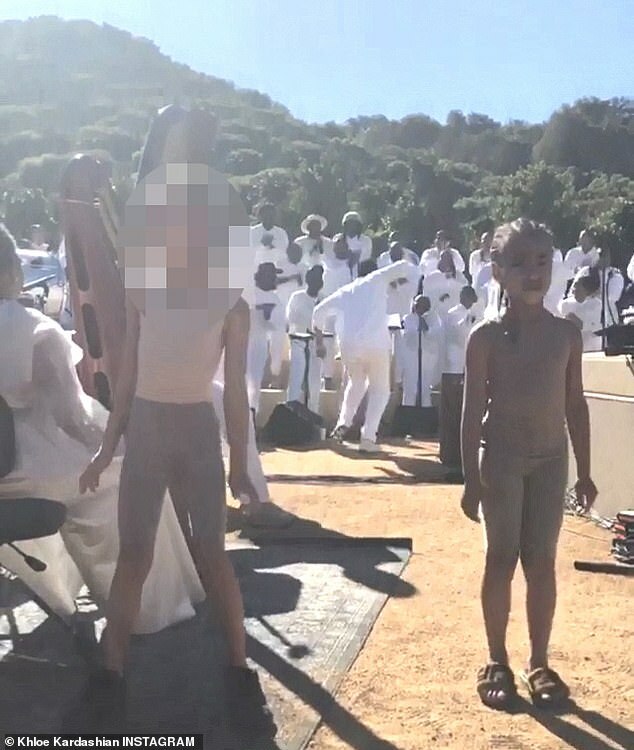 The daughter of Kim Kardashian and Kanye West was dressed in a sleeveless mauve spandex suit. She wore a pair of gray shorts and a set of brown Fendi flip-flops borrowed from her mother. The oldest daughter of the celebrity duo had her hair done up in cornrow braids.